There are two kinds of windshield glass used in vehicles nowadays, tempered glass and laminated glass. Tempered glass is ten times stronger than regular glass and normally installed on side and rear windows of a car. Laminated glass is stronger than tempered glass, made from several layered materials such as plastic that can absorb impact. Windshield glass has a strength limit, and when this limitation is reached it will break. In this case, there might be a chip or crack on your windshield. In order to avoid greater damages, it’s important for you to get your windshield fixed immediately. When you keep driving your car with a broken windshield, the crack or chip could get bigger. Therefore you will have to spend more money on the repair. Even worse the crack will spread so wide that you have to get a new windshield. unless you experience a hard collision or a vandalism act of a person who breaks the windscreen intentionally, usually you can always repair it. But unexpected things sometimes happened, and if your windshield is seriously broken, you should immediately replace it. If windshield replacement is really needed, then you should hire a certified professional to do the job. The windshield is a vital safety feature of your car, so it must be installed properly. But whenever you find any damage on your auto glass, you always consider to repair it first rather than replacing it. Replacing a windshield could cost a lot of money. While a chip repair will be much cheaper, even the worst repairable damage less expensive. Chips and cracks can, be repaired with a simple process. Usually, the damaged area will be injected with a resin that will work as a patch. When dried, it will look clear and blend with the surrounding glass. But remember, even though it sounds simple, this job still requires sufficient skills to be done perfectly. There are safety standards that must be met by the auto glass in order to provide optimum protection for the driver and everyone else in the vehicle. That’s why you need a certified professional to do it. 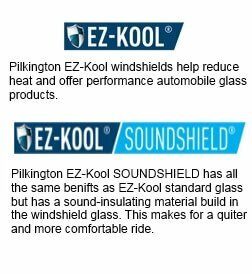 When you’re noticing that the damage on your windscreen is not too bad but the auto glass company is suggesting to replace it, look into alternatives such as rock chip repair. Sometimes a small crack, if it’s located on certain spots, can be very damaging, but very often it’s also repairable. So you should get a second opinion to make sure that the auto glass shop is not trying to make you spend more money than you should.